[224 Pages Report] The Industry 4.0 market was valued at USD 66.67 billion in 2016 and is expected to reach USD 152.31 billion by 2022, at a CAGR of 14.72% during the forecast period. The base year considered for the study is 2016, and the market size forecast is provided for the period 2017–2022. The major players in the Industry 4.0 market are General Electric Company (US), International Business Machines Corporation (US), Cisco Systems (US), Microsoft Corporation (US), Stratasys Ltd. (US), Alphabet Inc. (US), ABB Ltd. (Switzerland), Mitsubishi Electric Corporation (Japan), Intel Corporation (US), Hewlett-Packard Enterprise Company (US), Siemens AG (Germany), Qualcomm Inc. (US), Samsung Electronics Co. Ltd. (South Korea), Texas Instruments Inc. (US), Rockwell Automation Inc. (US), 3D Systems Corporation (US), Cognex Corporation (US), Basler AG (Germany), Denso Group (Japan) and MAXST (South Korea). The research report segments the Industry 4.0 market into the following submarkets. Analysis of industries in the Industry 4.0 market in different geographical regions. Customization can be provided on country-wise analysis of the Industry 4.0 market with respect to industries. 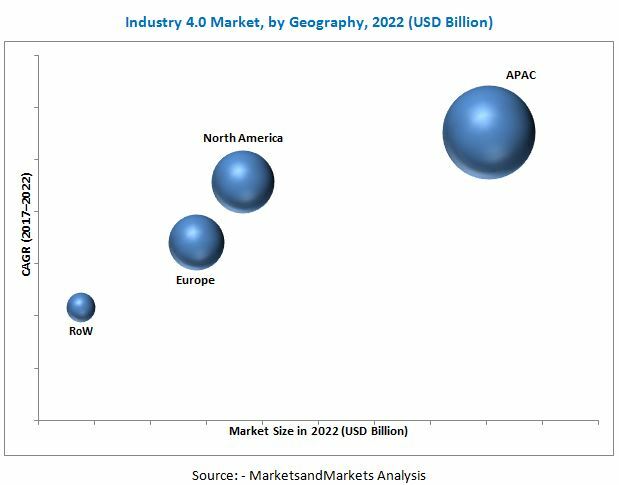 According to the MarketsandMarkets forecast, the Industry 4.0 market was valued at USD 66.67 billion in 2016 and is expected to reach USD 152.31 billion by 2022, at a CAGR of 14.72% between 2017 and 2022. 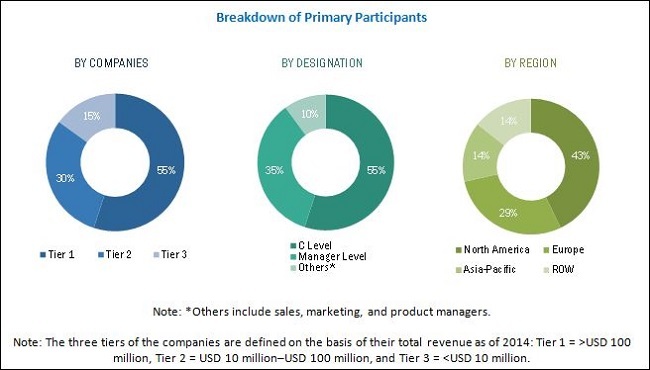 The increasing adoption of the industrial Internet and increased focus on efficiency and cost of production play a significant role in the growth of the Industry market. Key factors such as the lack of cost–benefit analysis and a shortage of skilled workforce are inhibiting the growth of this market. The companies covered in this report are General Electric Company (US), International Business Machines Corporation (US), Cisco Systems (US), Microsoft Corporation (US), Stratasys Ltd. (US), Alphabet Inc. (US), ABB Ltd. (Switzerland), Mitsubishi Electric Corporation (Japan), Intel Corporation (US), Hewlett-Packard Enterprise Company (US), Siemens AG (Germany), Qualcomm Inc. (US), Samsung Electronics Co. Ltd. (South Korea), Texas Instruments Inc. (US), Rockwell Automation Inc. (US), 3D Systems Corporation (US), Cognex Corporation (US), Basler AG (Germany), Denso Group (Japan) and MAXST (South Korea). This report also includes major startups such as Arcadia Data Inc. (US), General Vision Inc. (US), Rethink Robotics Inc. (US), nGrain (Canada), and XJet (Israel). *Details on Business Overview, Product Offerings, Business Strategy, Recent Developments, Recent Developments, Key Relationships, MnM View might not be captured in case of unlisted companies.